Peru’s capital city was once foregone by travellers eager to reach Cusco and Machu Picchu, but more and more visitors are choosing to stop in the city for longer, attracted by the buzz of the country’s largest city. 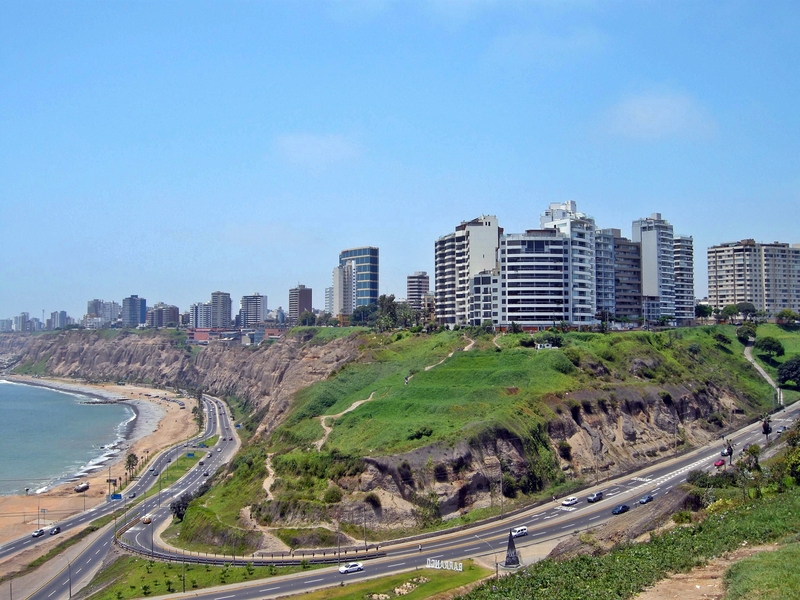 The main tourist strip of Miraflores lays spread out along a beachside cliff top, and it is sitting in one of the many cafés looking out over the Pacific Ocean that visitors will first come into contact with two modern Lima’s coolest crowds. Surf culture first took hold here way back in the 30s, but has seen a fresh resurgence in the last few years and Lima’s adventure lovers can be found up and down the beaches below, bronze skinned and board in hand. More recently, hipsters have exploded onto the scene in their droves and brought with them a developed coffee culture that Melbourne, Seattle and Stockholm would be proud of. Miraflores, Barranco and La Punta have all become enclaves of cool in the city, although it is still easy to walk straight past some of the best spots without realising. It is when night falls however that Lima’s hippest crowds come out to play. The party gets going late, but that is perfect; it gives you the chance to grab a bowl of ceviche and a pisco sour in one of the many cool bars and watch the streets come alive before you hit the clubs. When the sun comes up and you decide to head home there are plenty of hostels filled with character; in old colonial era buildings, grand mansions and modern new developments.